Performers include: James Franco, Chris Cooper, George Mackay, Sarah Gadon, T.R. Knight, Josh Duhamel, Daniel Webber, Lucy Fry, Cherry Jones, and Kevin J. O’Connor. Based on the 11/22/63 novel by Stephen King, this dramatic series follows an ordinary and recently-divorced high school teacher, Jake Epping (James Franco). He’s presented with the unbelievable mission of traveling back in time to prevent the assassination of John F. Kennedy on November 22, 1963. He travels back to the world of 1960s Texas and, in the guise of Jake Amberson, he explores the multiple mysteries surrounding the alleged assassin Lee Harvey Oswald. The irascible owner of Al’s Diner, Al Templeton (Chris Cooper) is a mentor and friend to Jake. He’s also a time traveler pioneer and it’s his appeal that sends Jake on his incredible mission. A young, guileless bartender from 1960s Kentucky, Bill Turcotte (George Mackay) becomes Jake’s ally and falls deeper into the mystery of Lee Harvey Oswald than he or Jake ever imagined. Sadie Dunhill (Sarah Gadon) is a luminous and sharp librarian that Jake meets in 1960s Jodie, Texas. She falls in love with him and is unaware of his double life. Johnny Clayton (T.R. Knight) is her repressed and controlling ex-husband. Harry Dunning is one of Jake’s students in 1960s Kentucky. His father, Frank Dunning (Josh Duhamel), is the rakish town butcher, a man’s man — and a murderer. An enigma even to himself, Lee Harvey Oswald (Daniel Webber) is one of the most discussed figures in American history. Unpredictable, he can be vulnerable or violent, drifting or driven. Marina (Lucy Fry) is Lee Harvey Oswald’s new Russian wife. She’s a knock-out but finds it very challenging to make her way in a new country with her unpredictable spouse. Marguerite (Cherry Jones) is Lee’s mother and is as needy and difficult as her infamous son. An enigmatic, eerie figure, Yellow Card Man (Kevin J. O’Connor) appears to Jake periodically as a warning — or a threat. As Jake tries to rewrite history, he discovers that the past does not want to be changed and will do anything to stop him. What do you think? 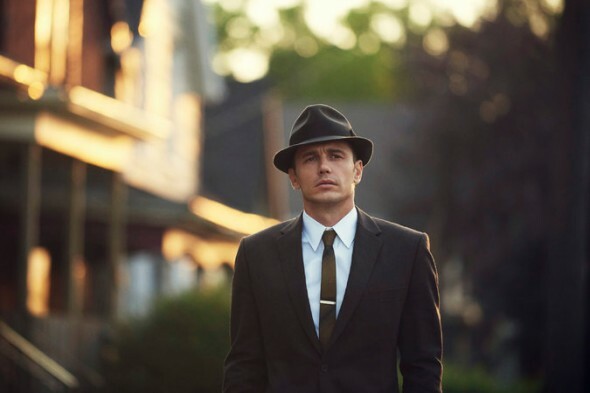 Do you like the 11.22.63 TV show? Do you think it should continue for a second season somehow? I think they should bring it back and run Season 1 again then do season 2, it is a really great show. It was great. Thoroughly enjoyable. I was 13 and in junior high. We were changing classes when one of the teachers came out into the hall crying. We were sent home on the spot. Everyone has always wondered the consequences of the events that took place, and this story puts an interesting spin on events of the day as well as being cleverly entertaining while remaining respectful to a horrific event in our nation’s history. I don’t know how a sequel could exist. But this series was incredible, especially for me having been in the 3rd grade with the deed was done. So well done, so well written! I will look at this series all over again and again!